The Z370 Taichi, like the X299 and previous generations, comes fully featured and ready to rock out of the box. Not defined by a naming convention, the Taichi sets out to be a well-rounded board with a lot of features at its price point including three M.2 slots, eight SATA ports, SLI/Crossfire support, as well as dual NICs and Wi-Fi capabilities. ASRock has used the Taichi lineup for a couple of generations now. The Taichi boards have made a name for themselves in both the HEDT and mainstream spaces on both Intel and AMD chipsets - the Z370 Taichi follows the trend and is a midrange offering in that mainstream space that purports to have a plethora of features and promises to be is a solid motherboard to build a PC around. The Z370 Taichi shoots for the stars, covering its power delivery area with dual heatsinks connected via heat pipe, three high-speed M.2 slots, eight SATA ports, SLI/Crossfire support for gaming, as well as USB 3.1 ports on the rear panel and an additional header for front panel USB 3.1 connectivity. Outside of a rarely used U.2 port, on paper, the board isn't lacking anything - unless perhaps a user needs more RGB LED lights, which are only found underneath the chipset heatsink. The performance results show the Z370 Taichi is a formidable foe in all of the tests, landing in the middle of just about everything we typically run. 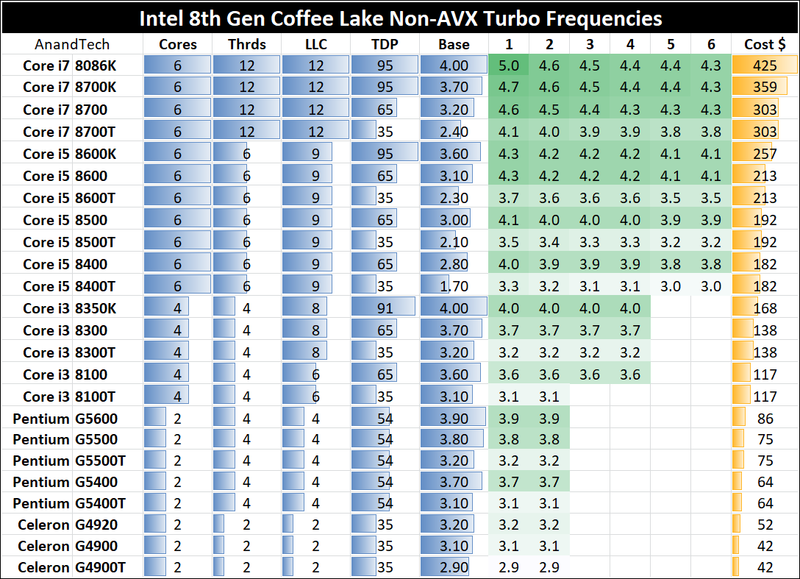 Its application of Multi-Core Enhancement appears to match other boards we have tested, verifying the results. 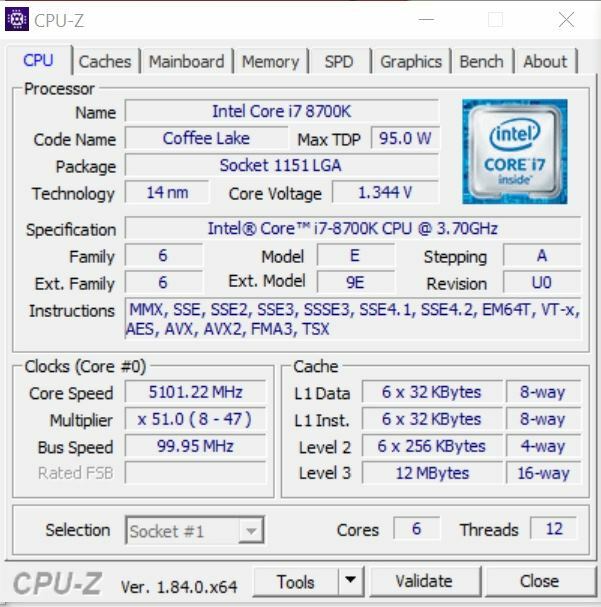 Boost clocks were at 4.3 GHz using all cores and 4.7 GHz in single-threaded testing. The board did use a bit more power on idle but mixed right back with the rest when under load. The board really excelled in boot times posting the fast POST we have seen so far. Overclocking was a breeze with the Taichi matching the results of other boards at 5.1 GHz without breaking a sweat. The heatsinks were warm to the touch after testing and showed no signs of holding the CPU back with our ambient cooling methods. Our gaming results gave us a bit of a surprise in the ROTR testing but this is is due to a slight adjustment in our testing, as well as using Windows 10 RS3 with Spectre and Meltdown patches applied. On the storage front, the Taichi shows its mettle with three high-speed M.2 slots as well as eight total SATA ports. 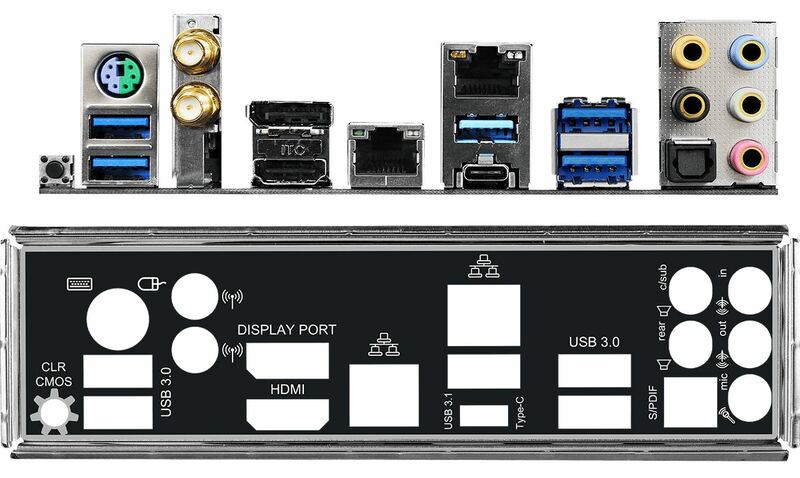 While there is some lane sharing happening due to the lack of PCIe lanes on the CPU and board, it still leaves users with plenty of ports to add SATA based drives or M.2 modules in PCIe NVMe or SATA flavor as well. The Z370 Taichi has three full-length reinforced PCIe slots that are CPU connected and intended for video cards along with two x1 slots fed from the chipset and designed for peripherals. This configuration allows for two card SLI and three card Crossfire setups. 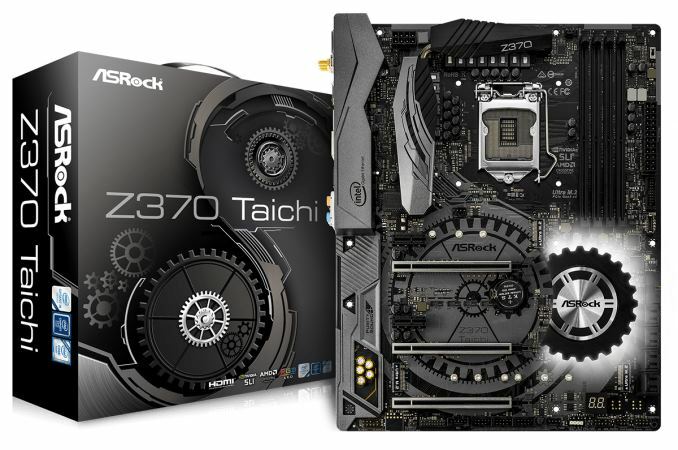 Overall, the ASRock Z370 Taichi comes out as a very aggressive choice in both price and performance. $220 is a key price point for Z370, with lots of competitors. Amazon currently has a sale on the board for $190, which makes the board at a very aggressive price. For performance, ASRock sailed through our testing, which is usually a good sign. 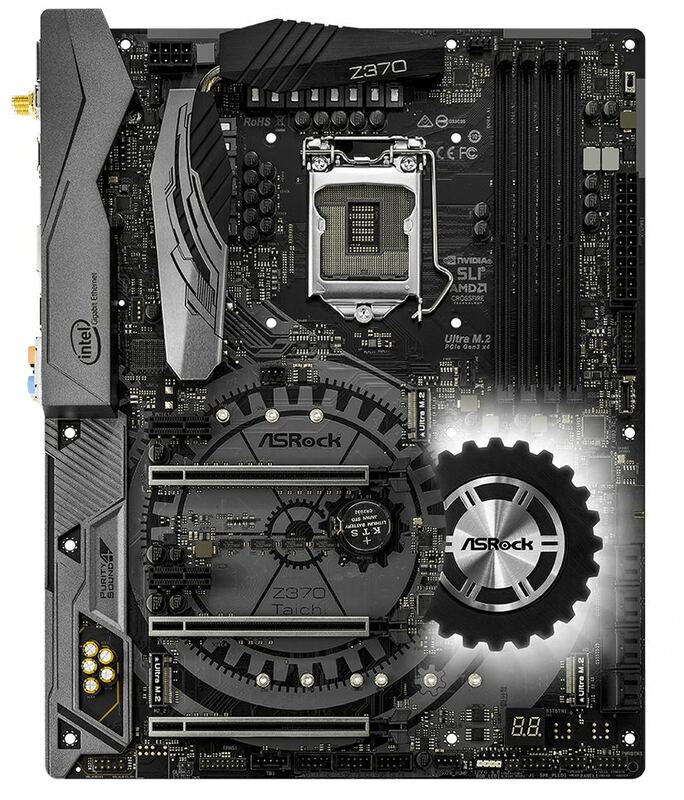 ASRock has invested to get a double-digit range of motherboards in its Z370 range. At entry level into the platform, ASRock offers its Z370M Pro4 MicroATX board starting at $110. The flagship board in the mainstream platform is the Professional Gaming i7 coming it at $287+. Between those are is another MicroATX board, two Mini-ITX boards, and a few ATX sized as well, all offering different feature sets and aesthetics. timecop, what makes u so sure they only diff is wifi??? foomanfoo, what makes u so sure the comparo you linked is accurate?